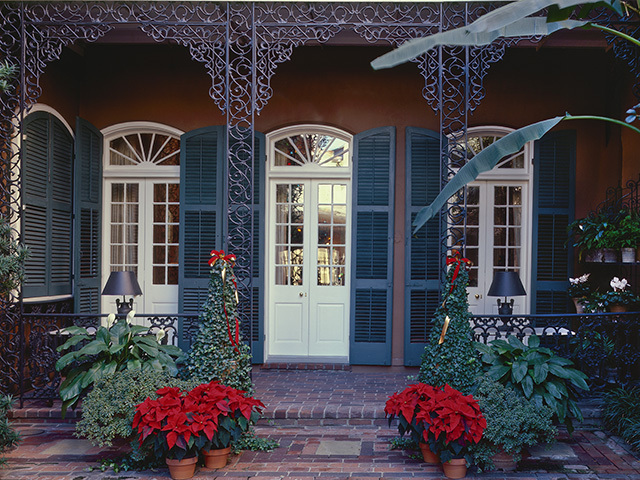 Just in time for the holiday season, The Historic New Orleans Collection will once again offer Holiday Home and Courtyard Tours of the Williams Residence. 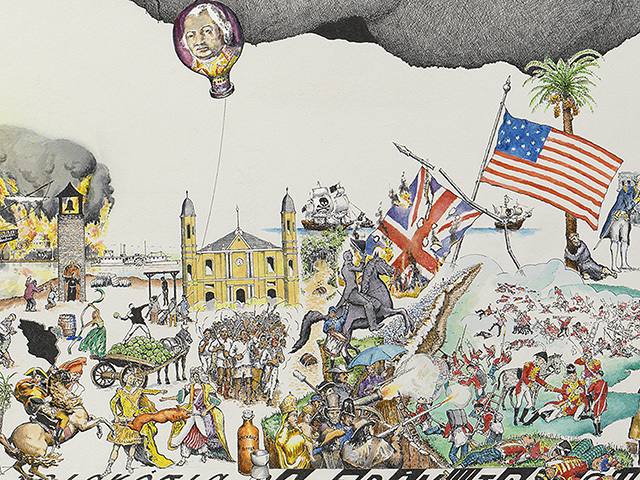 The colored pen-and-ink work—measuring three feet by six feet—is a view of an American city, held aloft by parading figures from throughout its 300-year history. 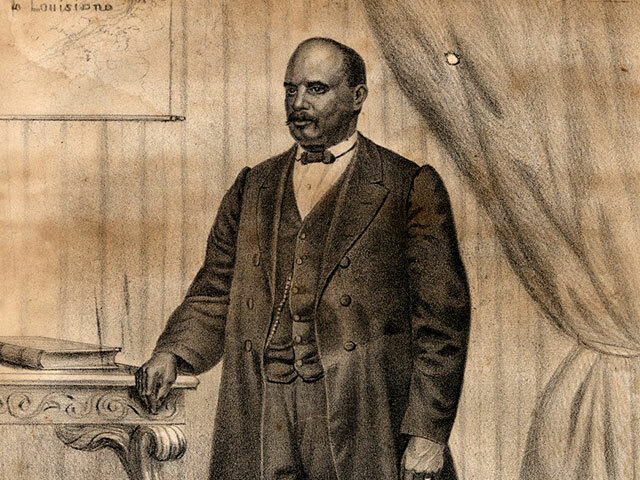 Louisiana's first Black Lieutenant Governor, Oscar James Dunn. 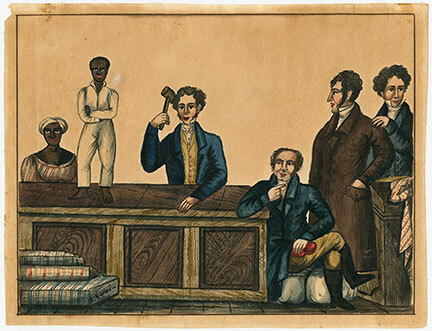 Image courtesy of Amistad Research Center. This permanent exhibition presents a narrative of the state’s history using art and artifacts that date from precolonial history through Hurricane Katrina. 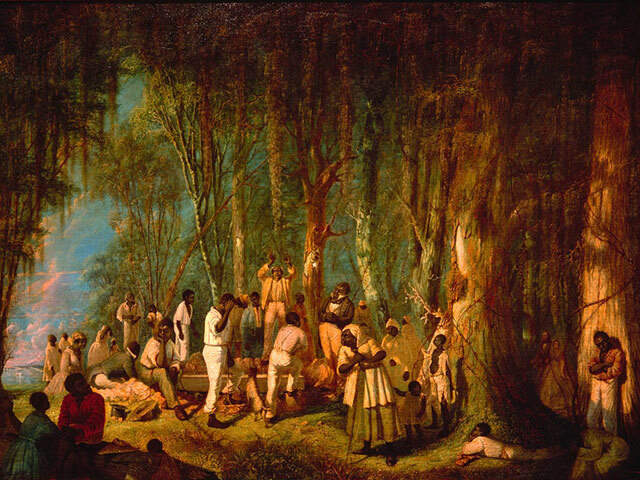 The Historic New Orleans Collection presents a panel version of "Purchased Lives: The American Slave Trade from 1808 to 1865" at its Williams Research Center, 410 Chartres Street. 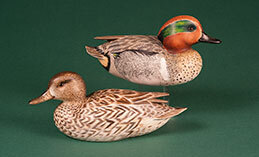 The Historic New Orleans Collection is proud to announce the donation of more than 300 hand-carved decoys and other works of art by southeastern Louisianan craftsmen.